We have prepared the Japan Atomic Energy Agency Annual Report 2018 based on the following editorial policies as a means for comprehensively reporting on the activities of the Japan Atomic Energy Agency (JAEA). This publication reports on the details of our operations and the state of our R&D for fiscal 2017 (April 2017 - March 2018) and also explains the outlook for fiscal 2018 and beyond as necessary. JAEA creates about 300 JAEA Reports ("JAEA-Research" etc.) every year. You can download full-text (PDF) of JAEA Reports using following web sites (JOPSS). 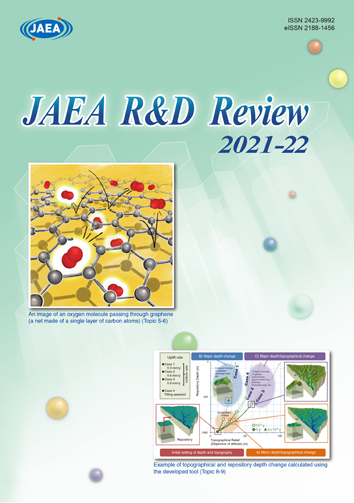 JAEA R&D Review is available which aimed at informing you about the current topics of R&D of JAEA every year. 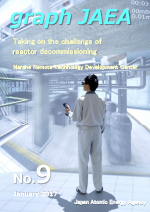 JAEA Library is one of the largest nuclear information center in Japan, is also INIS National Center of Japan, and has published JAEA Reports and JAEA R&D Review above. We hope that JAEA Library contributes to your R&D activities.